On the surface, China’s complete ban of ivory sales seems to fulfill a 2015 pledge made with the U.S. to end the ivory trade. But so far, Beijing hasn’t released details on what will happen with the nation’s massive legal and illegal stockpiles. The government alone maintains an estimated 20 to 30 tons of ivory, experts told NewsHour. China’s decision is expected to drive down the global price of ivory, which could set off a scramble among poachers until the ban takes effect late this year. 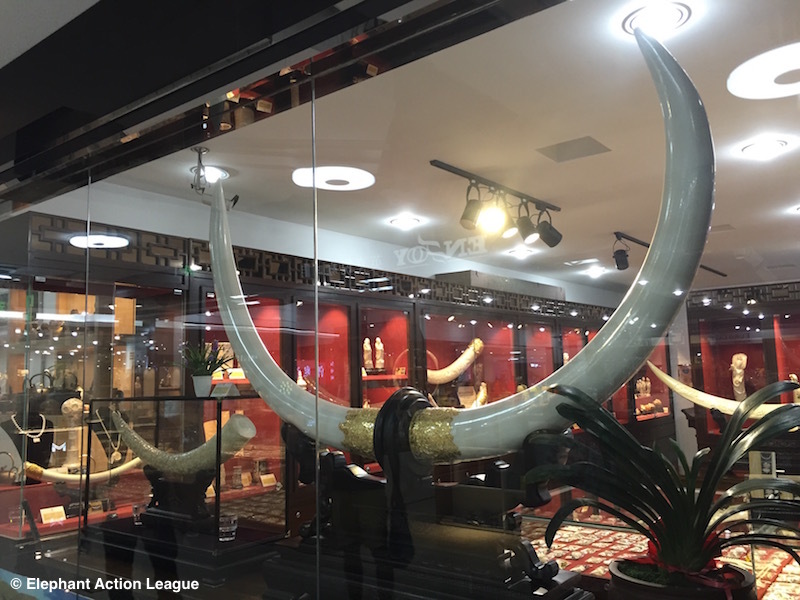 The new prohibition, due to take effect by the end of 2017, will shutter 34 processing facilities and 143 “trading venues” in China, the world’s largest ivory market. 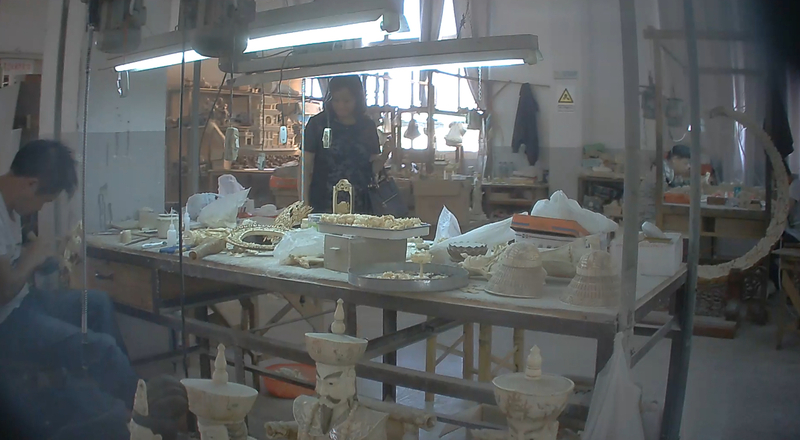 The government has long supported the domestic trade, issued permits for dealers and carving factories and provided licenses for ownership of specific pieces. Ivory carving goes back centuries there, and Beijing has declared the practice is cultural heritage. For years, the Chinese government resisted pressure to halt the legal trade, and instead opted to regulate it. But an aboveground market allowed criminals to launder illegal ivory, fueling poaching in Africa. At about $1,000 per kilogram, ivory is considered a good investment. In the last seven years, about 144,000 African elephants were slaughtered for ivory, according to the Great Elephant Census. If current rates of poaching are sustained — an eight percent annual decline in populations — wild African savannah elephants could be extinct within 20 years. The new ban follows a three-year moratorium on ivory imports imposed last March. A government statement on the ban mentions collecting legal ivory for museums and auctioning some supplies under special circumstances. But Zhang argues the fastest way to close the legal market would be for the government to buy back ivory from dealers and artisans. An article he published in Nature suggests it would cost about $600 million to recover finished and raw ivory. 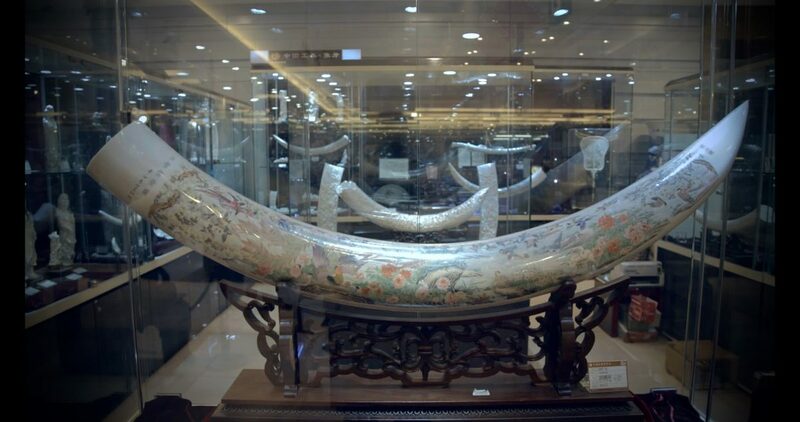 “The Chinese government needs to consider whether they will pay compensation for the legal ivory items registered by carving companies or retail companies,” Zhang said. Even though the dealers must find a fresh trade, the Chinese government won’t put carvers out of work. In a statement, the government suggested museums would hire carvers to preserve and restore ivory pieces. The state council stated carvers could use alternative materials like mammoth ivory, jade or bone. International ivory sales were banned in 1989 by the Convention on International Trade in Endangered Species of Wild Fauna and Flora (CITES) — but with some exceptions., China and Japan received CITES permission in 2008 to buy ivory from South Africa, Botswana, Zimbabwe and Namibia. China walked away with 62 tons in a one-time buy. The shortfall caused China’s legal trade to fuse with the black market, making it hard to separate legit pieces from illicit ones. In 2009, the Chinese government started selling five tons each year to licensed carving factories, said Grace Gabriel, the Asia regional director for International Fund for Animal Welfare. But this annual allowance was not enough to satisfy the demand among China’s wealthy and rising middle class. Gabriel said government-issued ivory lasted on average for one month among Chinese carvers, meaning for the other 11 months of the year, they were using illegal ivory. She estimates about 20 of the original 62 tons of legal ivory remain. The shortfall caused China’s legal trade to fuse with the black market, making it hard to separate legit pieces from illicit ones. 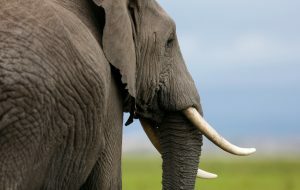 In fact, after the 2008 sale to China and Japan, poaching of African elephants increased, reversing the downward trend after the 1989 CITES ban. 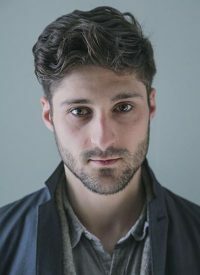 Andrea Crosta, executive director of the Elephant Action League, estimates there are 1,000 tons of illegal ivory hidden throughout China. After years of bad publicity linking the country to poaching in Africa, Chinese leaders realized they needed to change their attitudes toward ivory, advocates said. U.S.-affiliated nonprofits spent millions on ads and films to raise awareness. The conservation group, WildAid launched a campaign against ivory and rhino horn featuring Chinese basketball star Yao Ming. The new ban also aligns with China’s desire become a leader in environmental stewardship. Soon after President Xi Jinping came to power he instituted a series of reforms to make the country an “ecological civilization.” In 2014, China publicly crushed six tons of ivory and a year later, President Obama and President Xi agreed to work together to end ivory sales in their countries. “There is a realization that there are real limits that are being passed,” said Peter Knights, executive director of WildAid. But more important for China is its influence in Africa. Beijing recently pledged $60 billion in development funds there. But appetite for ivory has made for some embarrassing moments. In 2014, word got out that members of President Xi’s delegation to Tanzania left with thousands of pounds of poached ivory and rhino horn. 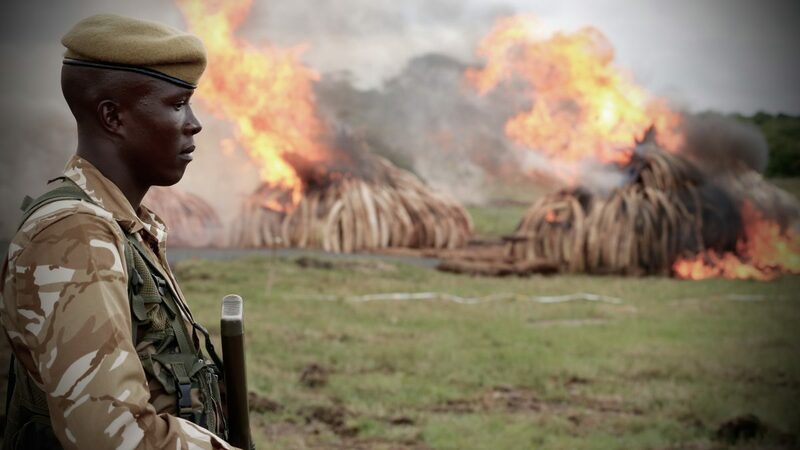 Ivory and other resource theft has fueled terrorism, conflict and crime throughout the continent. Shutting down the world’s largest ivory market will shake up the international trade. While advocates celebrate the new Chinese ban, their attention is shifting toward other wildlife trafficking routes in the region. Hong Kong, Japan, Vietnam, Thailand and Laos are major hubs. Smugglers will try to shift focus to countries with weaker enforcement or legal markets. Hong Kong plans to close its legal ivory trade by 2021, but environmentalists worry the traders will unload tusks there until the market is phased out. East Asia isn’t alone. The U.S. and Europe have a large role in the ivory game. The U.S. is one of the largest ivory markets. The European Union is the world’s largest exporter of pre-CITES legal ivory. But attitudes appear to be shifting globally. France banned its legal ivory market last year, and despite failing to ban it in early 2016, the European Union passed a resolution in November calling for a complete ivory ban among member states. The Obama administration reinforced their earlier agreement with China by adopting a near-total ivory ban last June. While countries debate over the fates of the largest land animal on earth, China’s decision is expected to drive down the global price of ivory, which could set off a scramble among poachers until the ban takes effect late this year.